Ella Riley-Adams, Vogue.com's Living Editor, didn’t have to look far for inspiration when it came to designing this arrangement. Growing up in Southern Oregon, she spent her childhood keeping a nature journal, recording the most interesting flora and fauna she came across. As if it were gathered from her backyard acres, The Ella includes thistle and fern, snapdragon, waxflower, and an antique-like vase. 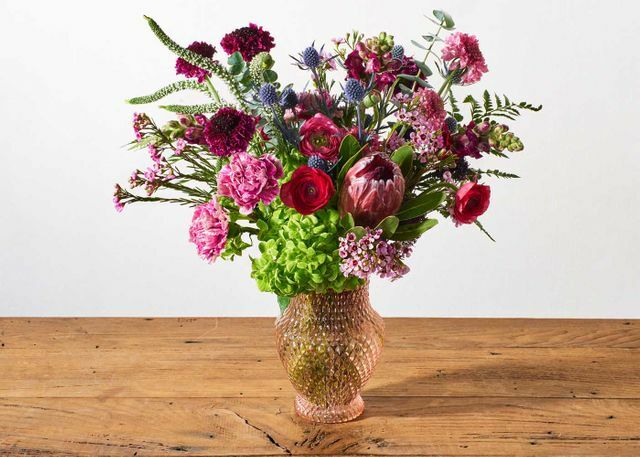 With colors and textures as varied as a wildflower meadow, this bouquet inspires from every angle.